Is this the major difference between Chelsea Higuain and Olivier Giroud? Is ‘this’ the major difference between Chelsea forwards Gonzalo Higuain and Olivier Giroud? Chelsea have had a turbulent past seven days. Last week they were humiliated 4-0 by AFC Bournemouth following which all hell broke loose inside the Blues dressing room. Gonzalo Higuain made his debut in that game but the Argentinian was below average and a number of fans wanted Sarri to bench him and play Olivier Giroud – atleast till the former Juventus man was match fit. The manager had himself claimed that Higuain would take some time to become fully ready since he had played very little football during his loan spell with AC Milan during the first half of the season. But Higuain made a fine comeback this weekend when the Blues thrashed Huddersfield 5-0. Both Higuain and Eden Hazard got their names onto the scoresheet and speaking after the match, the Belgian revealed as to why the Argentine is a totally different player to Olivier Giroud. ‘He’s a great striker,’ said Hazard(as reported). ‘He’s a bit less of a target man than (Olivier) Giroud, but he can hold the ball, he can play one touches. He’s intelligent. 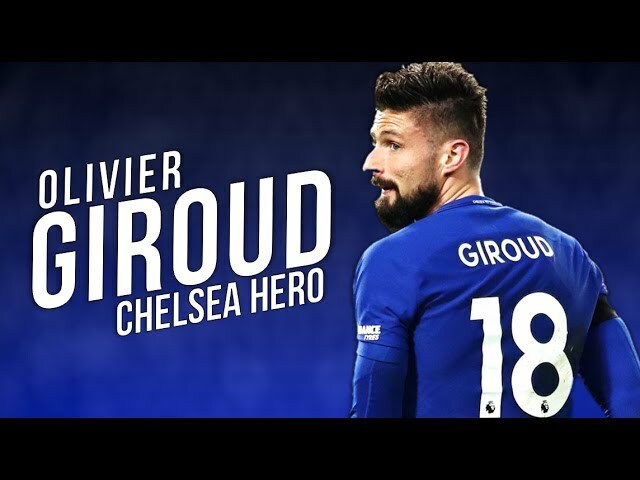 Olivier Giroud moved to Chelsea from Arsenal in search of more game time and both under Antonio Conte and Sarri, the Frenchman was preferred to Alvaro Morata. Giroud provides a more direct route towards goal but Sarri’s tactics are nowhere close to that. But the poor form of Alvaro Morata meant that manager had no other option but to use Olivier Giroud more often that he would have liked. Now though things will surely be different since Gonzalo Higuain knows very well how Sarriball works and the Juve man will waste no time in settling in. So is it time for Olivier Giroud to move out of Chelsea and find a new club during the summer? Previous article‘This’ action could make or break Rangers’ current season: Agree or not?